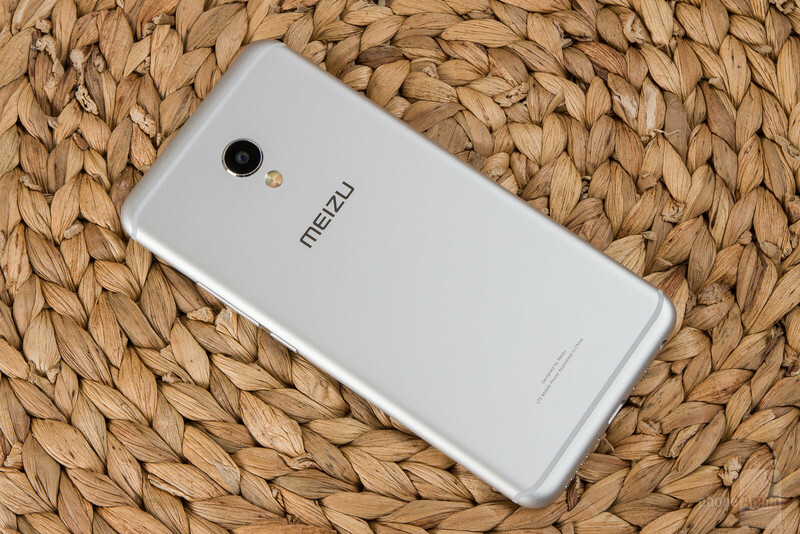 Meizu is one of those brand names you may have only heard of if you were a bit of an extreme smartphone geek (like most of us here are). As you may have guessed, it's hailing from China, and is a natural competitor to the slightly more popular Xiaomi in that it offers bargain-priced phones at every tier. 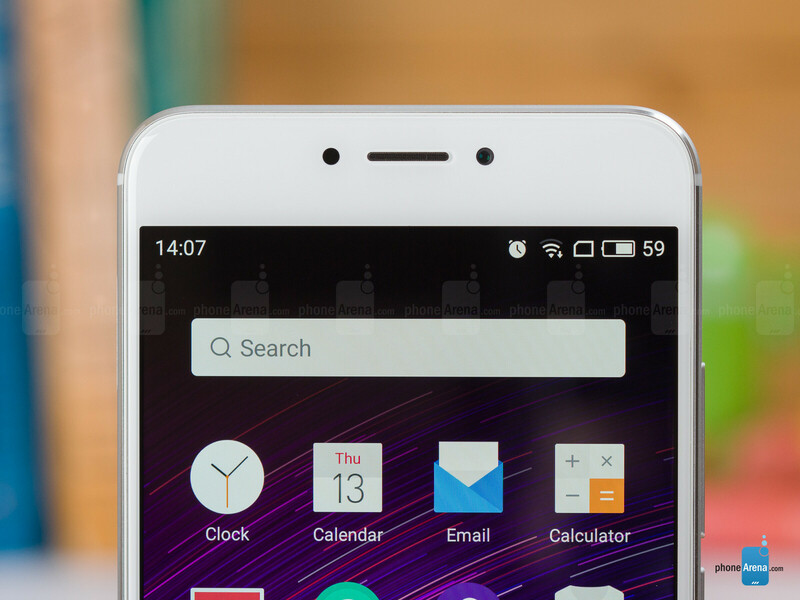 Here, we will be looking at the Meizu MX6. The MX series used to be the flagship of the company but has now been superseded by the Pro family. Still, the MX6 vies to be a very powerful handset at an aggressive price point. It has been fairly obvious for a while now that Meizu isn’t afraid to take design cues from Apple’s iPhone, but we would say it usually does a fair amount of effort to imbue some of its own DNA into the mix. For years, the MX series has been well-known to have thin bodies and rounded-off corners at the back for better ergonomics. 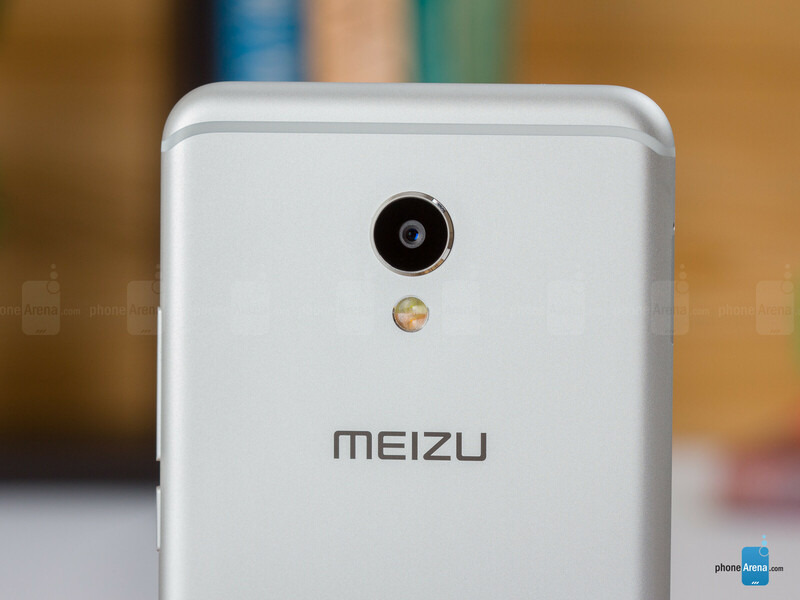 Just like the Meizu Pro 6, which was released in early 2016, the phone is made of metal and its plastic antenna bands at the back have been stylishly pushed towards the top and bottom ends. It feels nice, cool, and reassuringly sturdy when held all the while being a bit lighter than an observer might expect. Its buttons sink in with a reassuring click and the overall hardware experience is pretty high. The physical home button makes a return and, as usual, there are no capacitive navigational buttons around it. Shaped like an ellipse, the home key serves three purposes — a fingerprint scanner, back button if tapped, and home button if pressed. 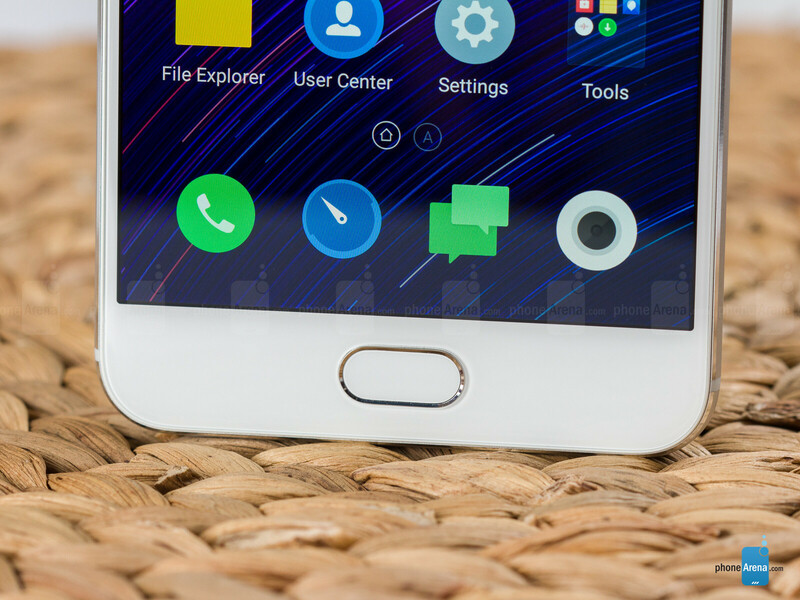 This unique approach allows Meizu to maintain the minimalistic design of its phones. On the back, we have a slightly protruding camera, neighbored by its two-tone LED flash. By today’s standards, a camera hump is a very normal thing, so we wouldn’t say we paid any mind to it. 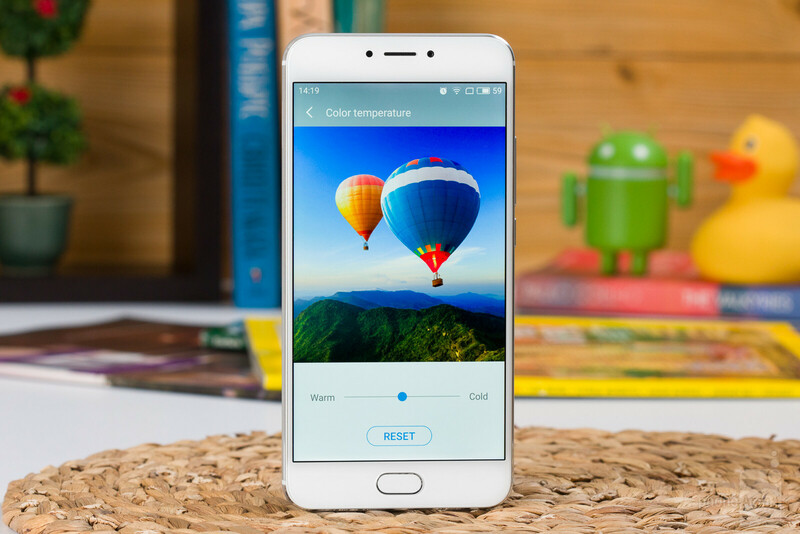 The Meizu MX6 is equipped with a 5.5-inch display with a 1080 x 1920 pixel resolution. This makes for a pixel density of 401 ppi — more than enough for a crisp image with no individual pixels visible to the naked eye. Its colors, however, are off on almost every mark in the sRGB scale, and the display's temperature is noticeably cold, measuring at 7685 K.
Numbers aside, we wouldn't say that the display is annoyingly blue, though the cold hue is definitely visible. Its colors are OK in real-life use and we were only truly annoyed by the punchiness of its saturated reds. The contrast calibration also looks to be a little off, with highlights always punching through while shadows stay dark, so setting a comfortable brightness to view a video is sometimes a chore. We've got a slider to manually adjust display temperature and a Twilight- or F.lux-like blue light filter, which can be set to automatically activate when the sun is down, keeping in tune with today's trends. The maximum brightness goes up to 498 nits and the display is OK to use outside in daytime. It can also go down as low as 1 nit, making for comfortable viewing in the dark. According to the cons, if I were living in mainland China, the only thing to be concerned about is the camera. I find that hard to believe. The Anandtech review taught me this phone is pretty lackluster...skip! Uh, the anandtech review was for the Pro 6, nit the MX6. Totally different sensors, dude.